From the tennis court to the golf course, rely on the comfortable support of the FUTURO Performance Compression Arm Sleeve. Designed to provide continuous, even compression to your muscles, the snug-fitting fabric provides a comfortable feel while the stretchy, anatomical design allows for a full range of motion. Light and breathable, this compression arm sleeve helps keep you cool, even on hot game days, and the graphic print gives your active wear a modern edge. 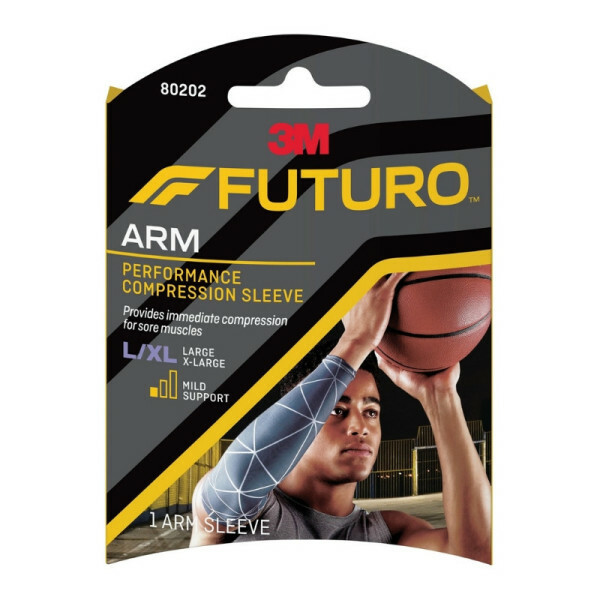 Feel your best and stay in the game with the style and comfort of the FUTURO Performance Compression Arm Sleeve.